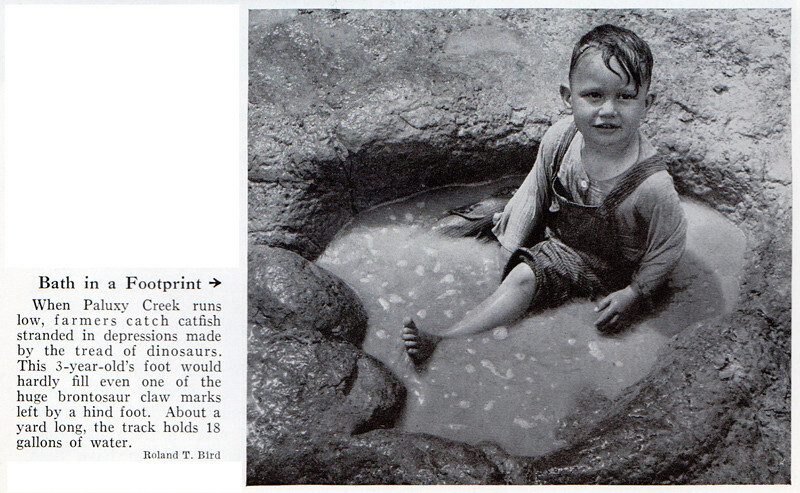 Cutest baby bathing in a dinosaur footprint picture you will see all day. Pawluxy is, IIRC, the place where people claimed to have found human footprints side by side with dinosaur tracks. Faked, of course -- too bad, would have been fun to have some evidence of time travel.